“The most beautiful car collection in the world”. That is the authors’ description of the Schlumpf collection in Mulhouse, France in their new book entitled “Schlumpf”. It is a vast museum, over 500 cars and has the World’s largest collection of Bugatti's including three of the seven Royales that were built. 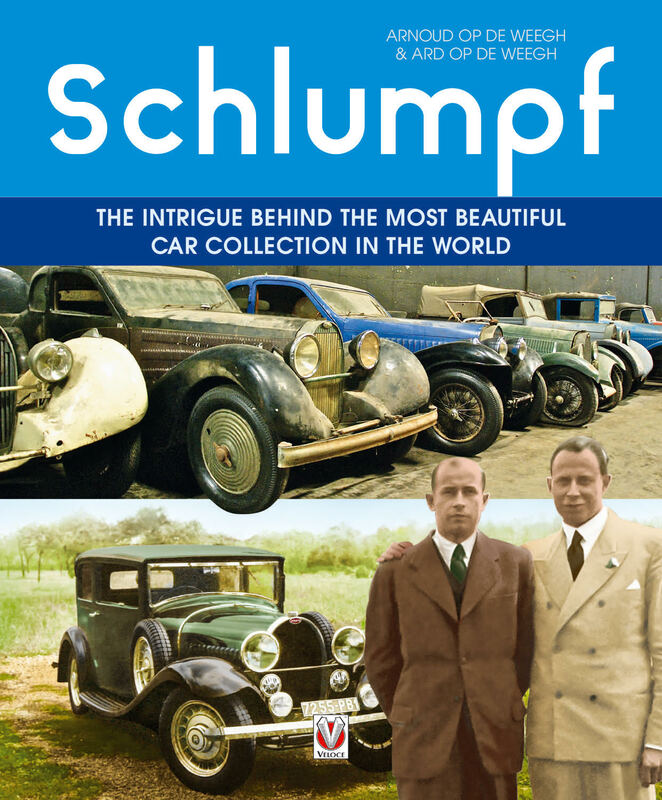 Authors father and son Op de Weegh spent nine years investigating the intrigue and hidden truth behind the huge collection amassed by the brothers Schlumpf. Hans and Fritz Schlumpf had run profitable textile industries in France in post war years. They suffered as Asian imports began to undercut French products. Cars were bought in the 50’s and 60’s when prices of classics were realistic. Fritz was using his own money and one deal in 1964 was the purchase of 30 Bugatti cars from an American businessman, John Shakespeare. The price was $85,000 plus the cost of shipping them to France. Again in 1964, Fritz bought a 1933 Bugatti T41 from the same John Shakespeare for $8,500. A recent valuation of that car put it at $17 million. Another example of values of that era was a 1955 Mercedes-Benz, bought from Daimler-Benz for 15,000 Swiss Francs. A recent valuation of that car by Christie’s Auction house was 4.4 million Swiss Francs. Fritz financed the building of a 17,000 sq.metre Museum in Mulhouse. As their textile business collapsed they needed funds to pay their textile workers off. A deal was struck with the late Tom Wheatcroft, a famous car collector in Britain. After initial discussions about a loan they agreed a deal to sell their entire collection to him. The deal went sour when the French Government of that time refused to grant an export permit for the collection. With no money for their employees, the workers seized control of the Museum in mid-70’s. Subsequently, the French Government obtained control. Whilst the book deals extensively with the intrigue behind the control of the collection and the Museum it is lavishly illustrated with classic cars in various stages of preparation for exhibition. Part of the collection includes Formula 1 cars and British motors include Bentley, Rolls Royce, Daimler and Riley. Stories of individual cars provide interesting history. One car, a 1937 Auto Union Wanderer, was made by a firm set up in 1932 comprised of Audi, Horch, Wanderer and DKW. The four rings representing each marque are still seen on modern day Audi’s. At the end of the book is a comprehensive listing of the exhibits with their buying price and recent valuations. Now known as the Cite de l’Automobile, National Museum Schlumpf, it is located in eastern France, near the Swiss and German borders.